889€ 2600mm Ø30mm 800g The most significant development from Nemeth Javelins, Olympic quality HAR (Humane Aluminum Response) competition javelin. 802€ 2600mm Ø30mm 800g Nemeth Javelins' world (1999) and Olympic champion (2004) HAR (Humane Aluminum Response) competition javelin. 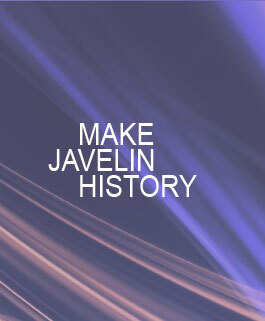 768€ 2600mm Ø30mm 800g Nemeth Javelins' popular Olympic quality HAR (Humane Aluminum Response) competition javelin. 643€ 2600mm Ø30mm 800g Nemeth Javelins' excellent Nemeth Club 85m Olympic quality HAR (Humane Aluminum Response) competition javelin. 555€ 2600mm Ø30mm 800g Nemeth Javelins' excellent Nemeth Club 80m Olympic quality HAR (Humane Aluminum Response) competition javelin. 423€ 2600mm Ø30mm 800g Nemeth Javelins' excellent Nemeth Standard 70m HAR (Humane Aluminum Response) competition and practice javelin. 375€ 2600mm Ø30mm 800g High quality "traditional" Nemeth javelin. 327€ 2600mm Ø30mm 800g High quality "traditional" Nemeth javelin. You can download our Men's Aluminum Competition Javelins catalogue here: Men's Aluminum Competition Javelins Catalogue.